I had some issues with the Creation Kit. 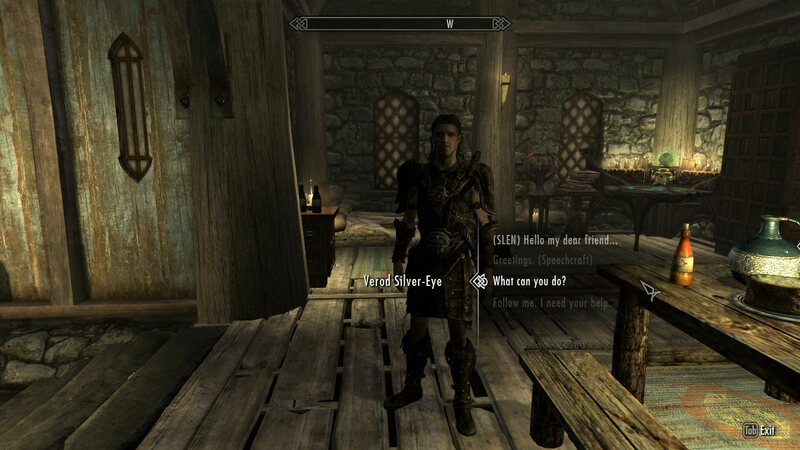 First, there was a bug with my quest dialog not appearing. A save and reload fixes that issue, but it is not a fault on my end. It happens because of the CK patch. 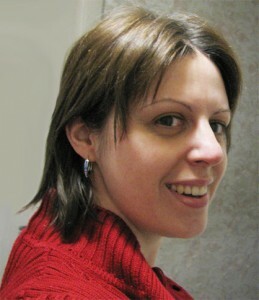 There is another issue that persist for now (voicing), but I will talk about it later. From technical standpoint the quest is perfection now. 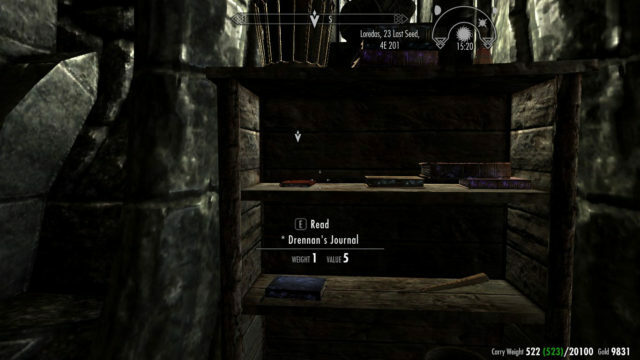 With mod installed the brothers and their house are there from the beginning of the game, but the dialogue for the quest becomes available only after you complete Dragon Rising. 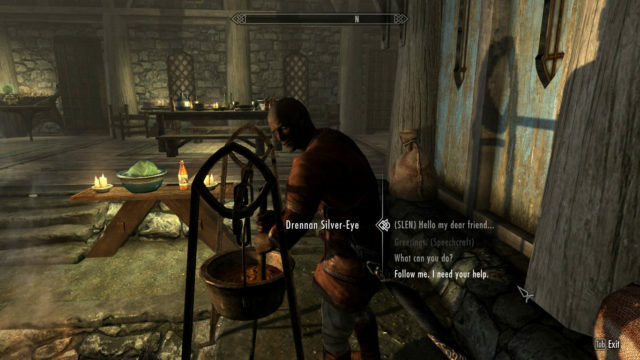 It’s better to visit them before you leave for High Hrothgar, because it’s where Drennan will send you anyway. So two birds with one stone. You task will be to retrieve Drennan’s journal. Reading it will briefly introduce you to the background of the Silver-Eye brothers. 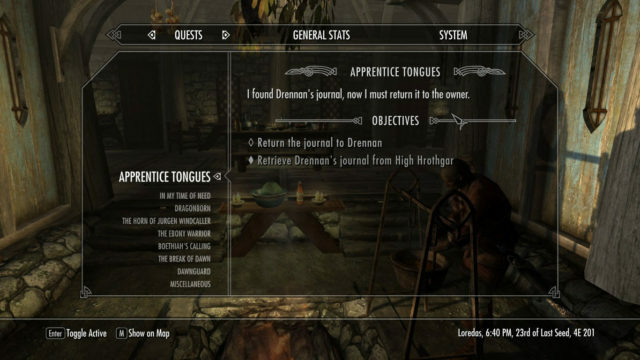 Return the journal to Drennan and he will reward you with 2000 gold. Now let’s talk about that issue I mentioned earlier. As the mod currently exists, all the dialogue is said in my girly voice, so obviously I won’t be sharing this version with anyone. I need to record empty voice files (while keeping the LIP files I created from my wav files). As followers, Drennan speaks with Male Brute voice, and Verod has Male Even Toned voice. And I’m perfectly fine with it. The quest dialogue will be silent (for now, until someone would record male-voiced lines for it) but lip-synched.